ONRAD Announces New Board Member - ONRAD, Inc.
ONRAD, Inc. is pleased to announce the election of Mr. Fred Studier, President and CEO of Learner’s Digest International (LDI), to the company’s Board of Directors. Mr. Studier brings over 25 years of healthcare and consulting expertise to ONRAD. He is the current President and CEO of Learner’s Digest International (LDI), a leading e-learning provider of continuing medical education for doctors and other healthcare professionals. Prior to LDI, Mr. Studier was President and CEO of FEI Women’s Health, the world’s leading manufacturer of intrauterine devices. From 1985 to 2002, Mr. Studier was with Bain & Company, a leading strategy consulting firm, where he was a partner in the company’s healthcare and private equity practices. “We are honored to welcome Fred Studier to our board as we continue to look for opportunities to improve the health outcomes of individuals within the communities we serve,” said Samuel Salen, MD, President and CEO of ONRAD. Mr. Studier received a Bachelor of Arts with distinction from Pomona College and an MBA from Harvard Business School.  ONRAD, Inc. is a full service radiology provider offering results-proven services including teleradiology solutions, on-site radiology coverage, subspecialty teleradiology reports and Quality Assurance programs. ONRAD radiologists specialize in a unique brand of service that removes all distance and provides personalized service for every customer. Wherever the customer is located, the ONRAD team delivers the insight, confidence and answers that drive vital healthcare decisions.